Samsung's latest flagship babies, the Galaxy S8 and S8+, are almost here! A new leak reveals their color options and possible pricing. 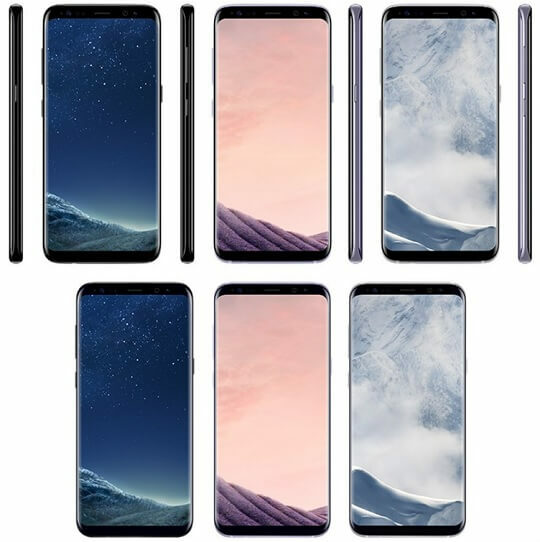 According to an image posted by Evan Blass on Twitter, the new Samsung Galaxy S8 and S8+ will be available in three colors, including Black Sky, Orchid Grey, and Arctic Silver. Blass with Twitter handle @evleaks also posted the European pricing of both Galaxy smartphone devices. The Galaxy S8 is said to be priced at €799 (about Php43K in direct peso conversion), while the higher-end version Galaxy S8+ will cost €899 (about Php48.5K). In addition to that, he revealed the prices of the devices' accessories. A DeX docking station will cost €150 (about Php8K), a new GearVR headset will retail at €129 (about Php7K), and a new Gear 360 camera will be priced at €229 (about Php12.3K). The Samsung Galaxy S8 and S8+ are expected to be launched on March 29 and slated for release sometime in April this year.